15 November 2017 // From 2-4 November, IF organized its biennial African Workshop in Mombasa, Kenya. 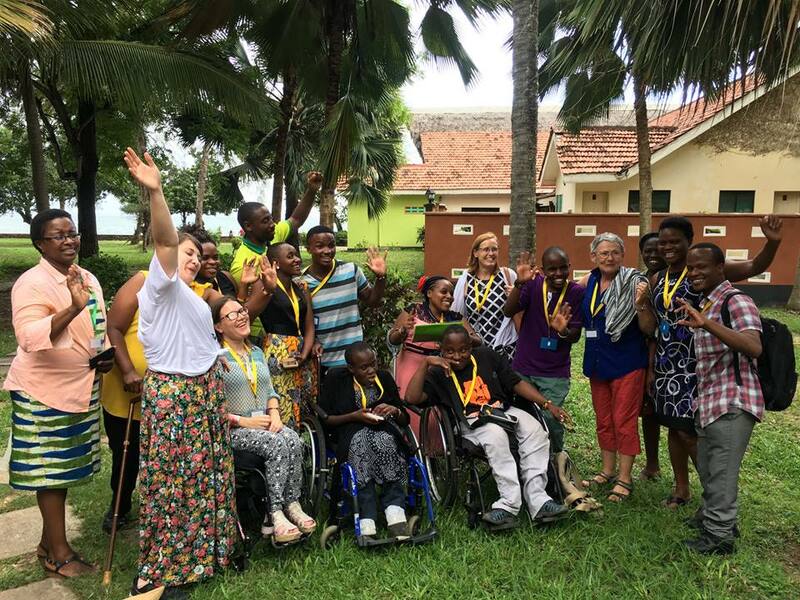 With 90 participants from 17 countries, it was the largest African workshop ever, bringing together local Spina Bifida and Hydrocephalus (SBH) associations and service providers, as well as our donors and experts. Apart from countries in Africa, participants came from the Philippines, Belgium, Norway, Sweden, Germany, Scotland, the Netherlands and Canada. Under the theme “Convention on the Rights of Persons with Disabilties & Access to Health”, participants discussed topics like Early Referral & Intervention and Skin Care, as well as empowering support groups and youth leadership in their role as advocates for Access to Health and Education. In a session for parents, an exercise was done in order for participants to identify their biggest problems and challenges on organizational and individual level and to consider possible solutions that a Support Group or an organation for people with disabilities can offer. Examples from ASBAHT, Tanzania, and SHAK, Kenya, were given to discuss how a support group can grow to develop national structures with multiple branches. As Spina Bifida and Hydrocephalus are still not recognised as a disability in many countries, it was emphasized that when advocating for their rights, SBH Associations should be clear how they want to be defined, and approach this from a human rights perspective, and not from a medical perspective. Ahead of the workshop, members of the Working Group International Solidarity held their meeting to discuss the IF projects in developing countries. Take a look at the activities from the workshop here.